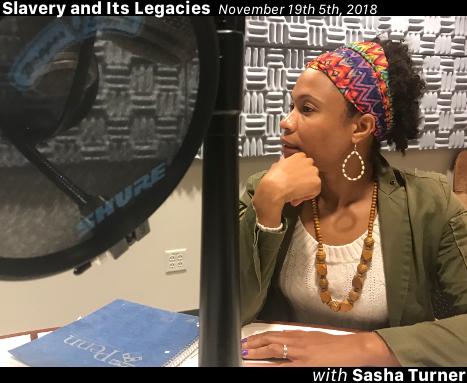 Sasha Turner, Associate Professor, History, Quinnipiac University joins Thomas Thurston in the studio to talk about her work on Slavery, Emotions, and Gendered Power. Sasha Turner is Associate Professor of History at Quinnipiac University. She is the author of Contested Bodies: Pregnancy, Childrearing, and Slavery in Jamaica. Sasha holds a PhD from the University of Cambridge and a BA from the University of the West Indies.